[4 of 4] I wrote a few posts several years ago before I started my blog…remember MySpace? There are a few I felt were worth bringing over to the blog, so here you go. 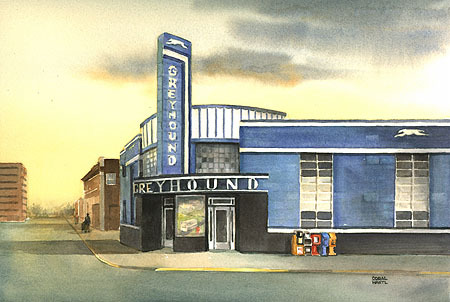 I took my sister to the GreyHound Bus Depot this morning. She was leaving to see our parents for Christmas after spending time with my family. It’s probably been a good 15 years since I’ve been in a bus station. This hasn’t been anything intentional, it’s just that I spend more time in airports or driving myself around when I travel these days. As we walked into the small indoor waiting room next to the railroad tracks on this clear and cold Christmas morning, I was again reminded that I do live in a very sheltered world. There were two people in the room, and one dog. The dog was eating something his owner was busy feeding him…and his owner quickly said “He doesn’t bite.” I hadn’t asked, or really even thought about it yet, but I appreciated the info and said “Merry Christmas.” A moment later this man and his dog left for somewhere…I speculated that they were probably not waiting for the bus like the other guy in the room who was siting next to his overstuffed backpack. My sister was now on the phone trying to work out some issue with her electronic ticket. When she hung up, she needed a ride to the closest ATM for cash to pay the driver in case her printed receipt wouldn’t get her on the bus. My wife decided to drive her, and I would stay to watch over my sisters luggage and hold the bus in case they didn’t get back in time. I sat down and was engaged in conversation by the other guy waiting for the bus. His name was Talen (he even spelled it for me so I would be sure to remember it,) and he began to tell me his story. Today he was traveling to somewhere in the northeast corner of Washington state to see his 18 year old son. He hadn’t seen his son in 15 years. He was on a mission to try and reconcile and bring closure to the broken relationships in his life…he quoted a scripture that had prompted him to do this. As we talked, Talen talked about his health, his past, his mistakes, and his faith. 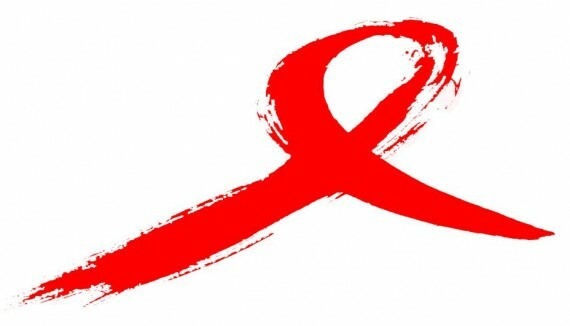 In obvious physical pain, he told me that he had HIV/AIDS…got it through a drug needle back in ’88 or ’89, and diagnosed in 1994. He now lived in an Orange County AIDS Hospice. It was interesting to me that Talen wasn’t telling his story looking for sympathy or money. It was interesting to me that I was sitting in a bus station talking to some guy with AIDS on Christmas morning. Talen went into great, graphic, detail about his illness. It’s his story to tell, so I’ll leave that out in this writing, but I will say that I was incredibly horrified for him. I’m not in the medical profession, but from what he told me, I’m pretty sure Talen is dying. I’m someone who believes in ‘Divine Appointments’. I believe this was one of those for me. I shook his hand and prayed for Talen before he got on the bus and headed north. He asked me to keep praying for him. I’ll try. I said goodbye to my sister and gave her a hug. I’m sure I’ll see her agian soon. As I sit and think about it, I’ve never been as forgotten as Talen. I’ve never been as sick or outcast as Talen. I’ve never been….well, there are a lot of things I’ve never been…and I count my blessings there. I think about how Jesus wants me to remember the poor. I think about how I live most of my life avoiding the poor. I think about Talen…I hope I’ll keep thinking about him. As I drove home, my heart was heavy. I’m thankful for this encounter. I don’t think these moments happen often enough in my life and perhaps I should make an effort to find them more often…I probably won’t though…if I’m being honest. But I’ll welcome them when they do. I love Christmas, and I love that this is where I got to spend my Christmas morning…meeting Talen…realizing that I have a lot to be grateful for.